Discussion in 'Gaming' started by Squizzel_Boy, Jan 1, 2013. Recently upgraded my rig to play the new BF3 DLC Aftermath with at least 90 frames and I though why not start a thread where everyone can show off there epic or awful PC set-ups, s here I am creating a thread, so feel free to post a picture of your desktop and write about your PC specs! And yeah this is a slight rip off of those "Show us your Desktop" Threads but this is 20% cooler. Gadget_AD, Laurencem17, jkjkjk182 and 4 others like this. 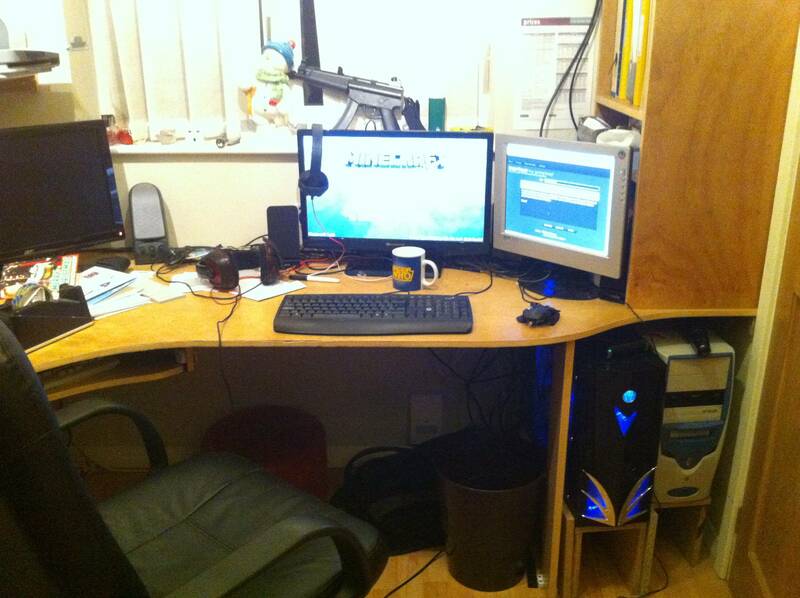 Monitor on the right is a 24" and the other on is 18"
Laurencem17, Equinox_Boss and Squizzel_Boy like this. GTX 580 3GB Slightly overclocked from stock. I think I'm going to get really jelly of others. There appears to be something that runs on steam next to you're computer tower. marknaaijer, nfell2009, Manglex and 4 others like this. my dad it's sad to say has better EVERYTHING but GPU XD he has i73770K dual Ethernet (somehow it makes websites load like 5000 times faster 7 HDD's and uses it for Work ONLY! and it's water cooled and that's broken so it now runs on steam! because it runs off a broken water cooler? .... get it... ok bad joke. Creeper655 and Jimbonothing64 like this. Laurencem17, Hash98, Jimbonothing64 and 1 other person like this. specs? and what is that TV?! it's massive! jaqiefox, SpaceShuttleFan, marknaaijer and 6 others like this. 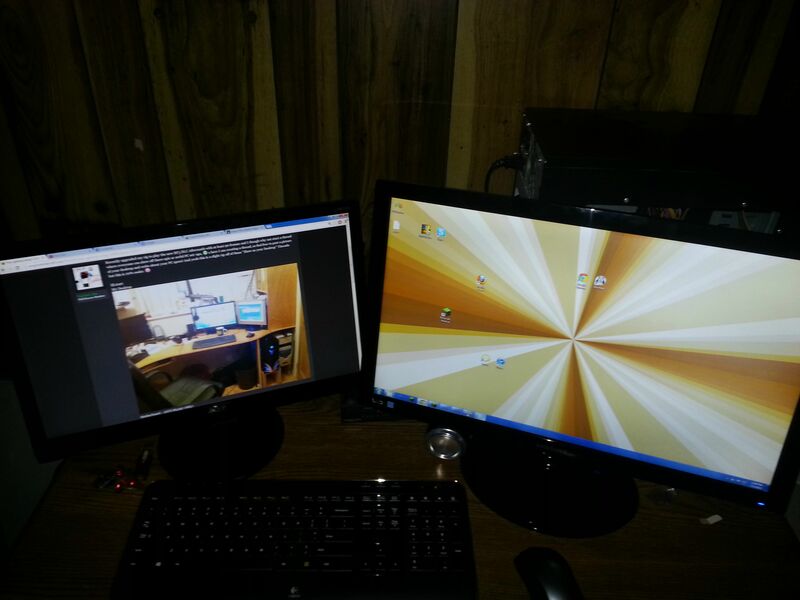 lol the tv is small... is about a size of a Wide Screen PC moniter its wide screen and the specs are in it i just editted it in its also basically new i got it for xmas and yes its a tv but is High Def. Gadget_AD, jaqiefox, SoulPunisher and 3 others like this. how does ad.fly give you viruses? from the ads it shows. i have gotten at least 100, but stopped every single one. My laptop is a very powerful Asus g75VW, so I just game wherever I want to if I can plug it in.